Earlier in the year I went to a London Fashion Week event and I was sat there thinking, why am I watching these non vegan designers showcase their pieces? How good would it be to see an all vegan fashion show? And low and behold, I was lucky enough to get to go to this amazing all vegan event. 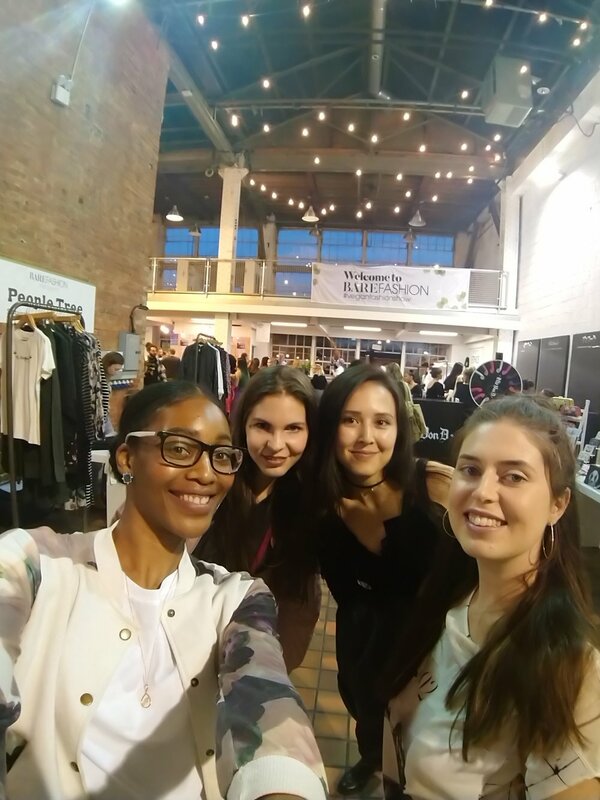 There were many vegan fashion, skincare and beauty brands showcased there. The amazing One Small Shop was there with a selection of goodies from their store. These Reclaim bags, which they have on their website, will always have my heart and can't wait to get my hands on one very soon. They are made from recycled tractor tires and feel so buttery soft. Another brand I was super excited to see there was Collection & Co shoes. These are one of the Pinatex pioneers, using pineapple leather to create beautiful vegan shoes. And how amazing is it that Kat Von D make up artists were there showing the masses how to get that perfect winged eye with their tattoo liner, one of which was in my goody bag! I was actually looking for a new liquid liner so thank you Universe. They were also showcasing the new perfumes "Saint" and "Sinner" as well as their range of vegan friendly lipsticks! There is such a huge variety of colours and I was lucky enough to get one in my VIP goody bag. Also in this amazing goody bag was a tub of eco friendly glitter from Eco Glitter Fun, as seen being applied on the night for my free glitter makeover. This will be perfect for the glitter ball that I am attending in a couple of weeks. Also as part of the VIP package we're these super yummy dumplings from Eat Chay. I had never had these before and I was pleasantly surprised by it. It wasn't too heavy, but filled me up comfortably. Just what I needed to keep me fuelled for the night ahead. All this before the show started. And boy what a show it was! The clothes were so lit! And the music was banging. Props to the DJ!